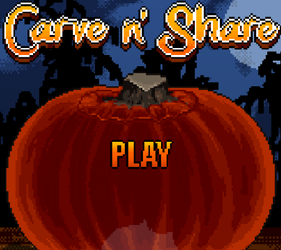 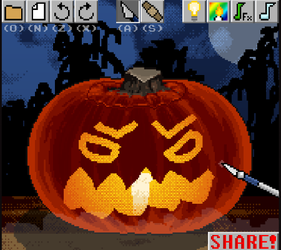 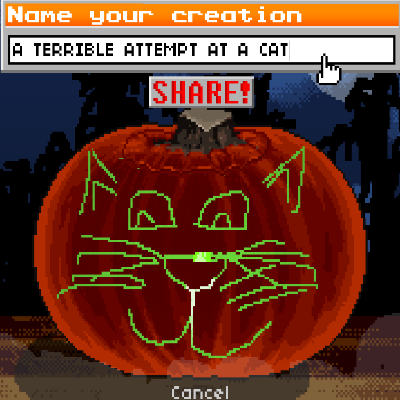 Carve n' Share is a simple, retro looking, pumpkin carving (more like drawing) gadget! 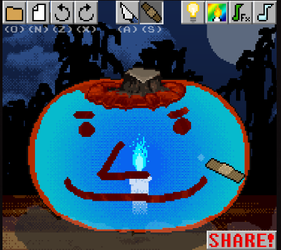 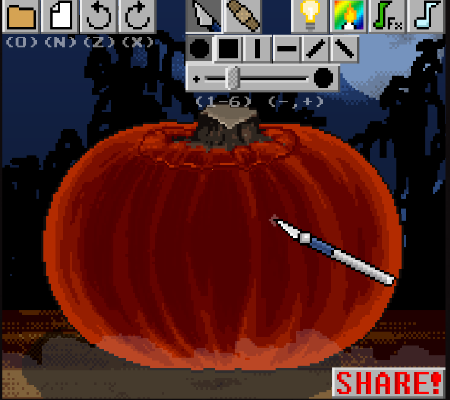 Draw your pumpkin designs with the knife & patch tool (OMG TOTALLY UNREALISTIC), change the candle's color, adjust the pumpkin's brightness and use various brush types & sizes to achieve your masterpieces! 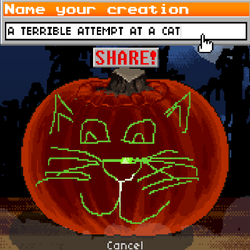 Hit the share button to share with the other Newgrounders!